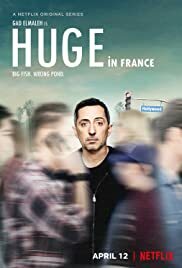 Gad Elmaleh is a hugely famous comedian… in France. He’s about to leave it all behind and move to Los Angeles in an attempt to reconnect with his estranged, comedy-hating, 16-year-old male model son. Sadly, he’ll have to do it without a single celebrity perk. A Netflix Original Series. All episodes streaming April 12.